Make your house super comfortable by making it clean! 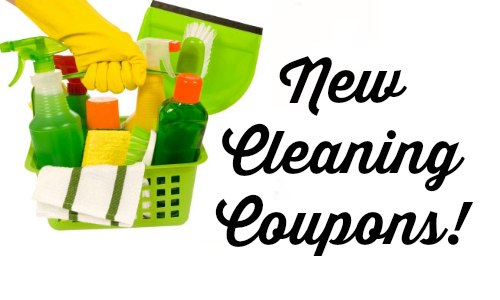 You can print some coupons to help you save on cleaning products. Print Tide coupons, Scrubbing Bubbles coupons, and more. Pair the coupons with a sale to get the best deal (use the item search to find current sales). Remember: You can get (2) prints of each coupon per computer! New Target Carthweel Offers + Grocery & Beverage Deals! New Kroger Instant Win Game – 7500 win Free Doritos! New Schick Coupon + Deals at CVS & Target! Spice Island Spices: 69¢ at Publix! Walgreens Wood Hanger Board Print For $7.50 – Ends Today!